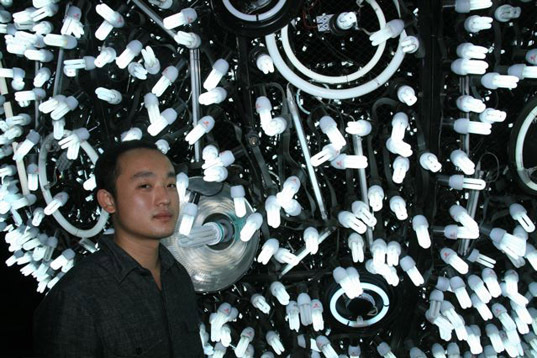 Designed by Chinese artist Wang Yuyang, ‘Artificial Moon’ is a spectacular lighting installation built from a thousand of energy-efficient fluorescent bulbs. 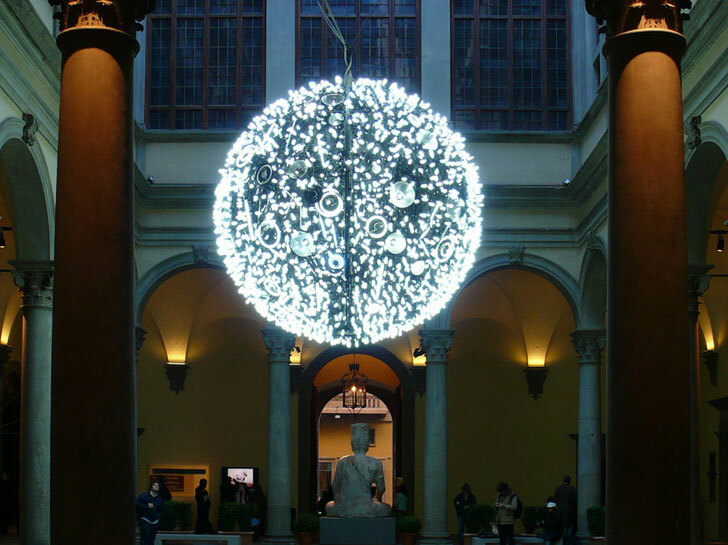 The piece is a metaphor for a full moon — a significant Chinese symbol for union and harmony — and conveys the artist’s interest with the first moon landing and the issue of light pollution. The full-blown, exaggeratedly bright sphere is over 13 feet wide and has strategically placed lights that reflect the real moon’s craters and surface features. Artificial Moon was first exhibited in a public park in the city of Xujiahui in China — the location is one of the few city spots in which the real moon is often eclipsed by the radiance of a brightly illuminated metropolis. By artificially recreating the natural environment, Wang Yuyang criticizes the extreme light pollution seen in cities across the world.